Eric Yarnell is associate professor in the department of botanical medicine at Bastyr University and chief medical officer at Northwest Naturopathic Urology. He is the author and co-author of numerous articles and books for practitioners including Clinical Botanical Medicine and Natural Approach to Gastroenterology . Speaker: Eric Yarnell. Incidence of gout is increasing in the US population. In this lecture, p..
Speaker: Eric Yarnell. Thiazide diuretics, anti-hypertensive drugs, acid blocking drugs, opioid..
Speaker: Eric Yarnell. 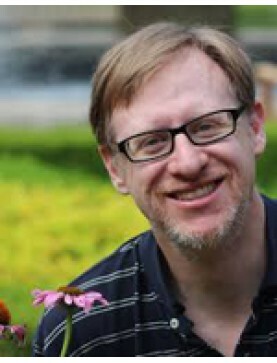 Review major low-dose herbs and how to prescribe them safely withcase st..
Speaker: Eric Yarnell. Naturopathic Treatment of Renal Failure..
Speaker: Eric Yarnell. The nature and function of cyclooxygenase-1 and 2 in inflammation i..
Speaker: Eric Yarnell. Whole plant extracts of Glycyrrhiza, Mahonia, ginger, Hypericum an..